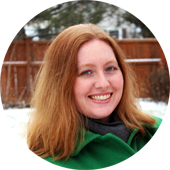 To celebrate her 100th post on Don’t Look Now, Kellie is having a super generous giveaway! Don’t Look Now is one of my regular blog reads, and I am routinely amazed at the beautiful, creative, high quality work I see there. Her intricate quilting and applique designs are just so pretty. What are you waiting for? Go enter (and spend some time checking out the rest of the blog, it’s worth it)! Wow that’s one of the most beautiful quilts I’ve ever seen. Stunning! Beautiful colors and excellent craftsmanship! Love the tree and bird motif! Wow! thats amazing! it would go PERFECT with my room! How do i get it?????? this is so gorgeous! i make cushions with in similar colours. They are my favourite colours! I really enjoy the way the fabrics are carefully chosen so that the leaves all carefully coordinate with each other. That is the TRUE sign of a talented artist and quilter. Then, of coure, comes placement and overall design. I love this design, because I have been making tree quilts, and sweatshirts that use branch/leaf designs, and this quilts is almost a perfect combination is the two! So I am going to save this quilt in my “ideas” file. 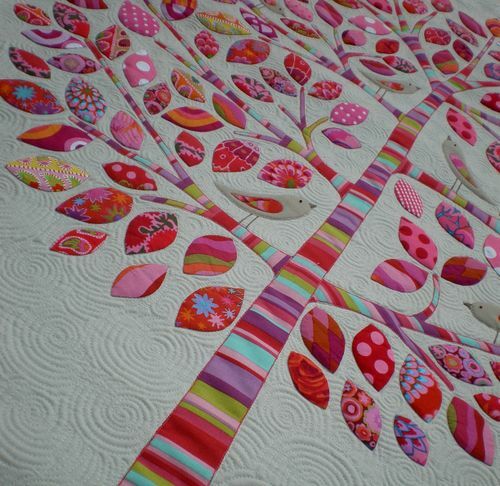 Thanks so much for th inspiration and the BEAUTIFUL quilt photo!! I wish that I was skilled enouigh to create a work of art like this! Golly, but that’s just beautiful!! The first quilt I just made is a nine block one… pretty simple, not like yours! It was a “Toronto Maple Leaf” quilt for my oldest grandson (10) and now I’ll try to make a log cabin “Calgary Flames” for the younger one (8). But I’m pretty certain neither of these will have the style, coordination and gorgeous design of yours! Congratulations on this quilt! I’ll bet it took hours! !